Advanced Laser Solutions is a state of the art company that specializes in the re-manufacturing of laser printer cartridges. We do this at our facility located in Kirkland Washington, near Seattle. Because laser cartridges are so common, original manufacturers have created a revenue stream of disposability and re-supply. The plastic used to create/cast the frame of a single laser cartridge is very sturdy. The "wear" parts of a laser cartridge are the other metal fittings in these devices. To drive sales of new cartridges, manufacturers have engineered these "wear" parts to have a minimum life span. Our techs carefully disassemble and rebuild every cartridge with long life parts that exceed manufacturers specs. Our rebuilt cartridges are so well made that statistics show that they are far less likely to fail than the product that came with your printer originally. And while I'm on the subject of driving a market... did you know that OEM manufacturers only fill their cartridges part way? Partly this is because their own wear parts don't hold up and partly to increase sales. Other re-builders also know this and use it in their sales pitch "We fill to maximum capacity, you get more... yada yada". Unfortunately, over filling causes a higher rate of failure and lost productivity. Our cartridges are optimally filled, often exceeding OEM products by 50%, resulting in far longer service life and significantly higher copy counts and better productivity. Our 19 plus years experience, modern equipment, experienced technique and quality control systems combined with our quality parts, employee training and superior customer service give our customers a GREEN, concern free experience. Our Kirkland manufacturing plant is state of the art. We use only environmentally sound products and applications. 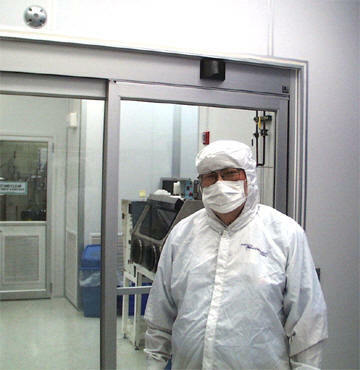 Our materials recycle program and positive airflow clean room assembly with dust collection is space age, protecting our employees, our community and our environment. Fact: A cartridge requires at least one quart of oil to make. Imagine that a cartridge tossed in a landfill, is the same as dumping a quart of oil onto the ground. One quart of oil may pollute up to 150,000 gallons of water. Yuck!